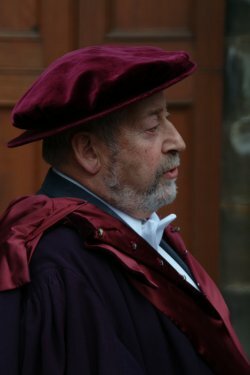 Here we conclude our mini-series on Rectors of the University, in this Rectorial installation season, covering the most recent occupants of the role. Donald Findlay QC (1993-99) filled the gap left by the resignation of his predecessor. He arrived in a vintage Bentley dressed as an explorer. The drag was a festival of free beer and wine at receptions sponsored by the Students Association, the Rector and companies. 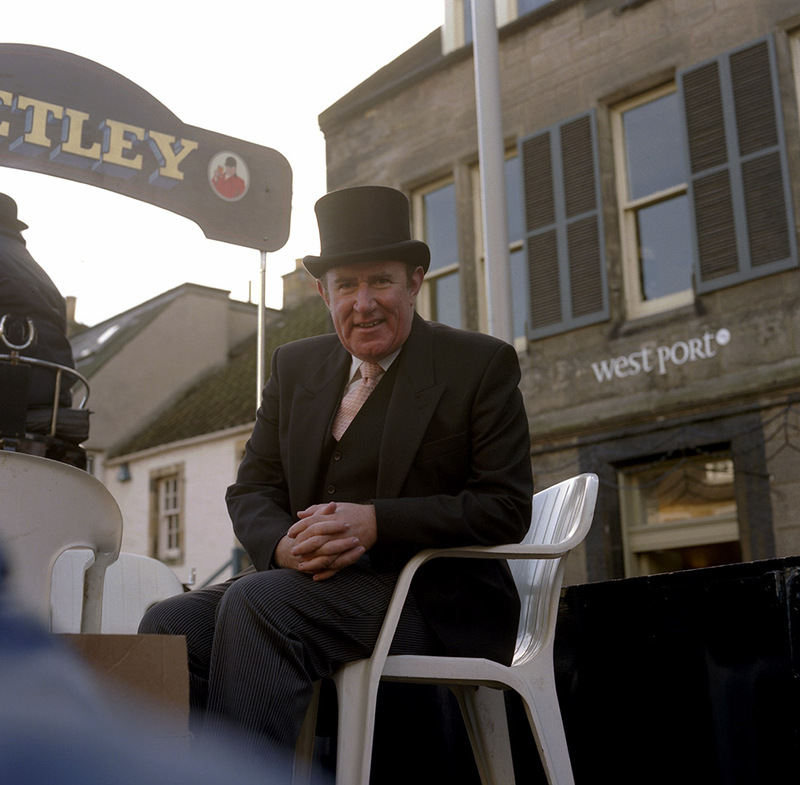 He did not use the traditional coach but was dragged in a cart from Tetley’s the brewers, pulled by a horse. He served a second term and was very popular with the students but his term of office was tainted by press coverage of his joining in the singing of sectarian songs at a football match. Andrew Neil (1999-2002) Eminent in newspapers and on television, before the election he made an effort to find out what was important to his electors. He viewed himself as representing the students to Court and the University to the outside world. He wore the headdress of a Native American chief at his installation. The drag was notable for the amount of free drink for the spectators. Sir Clement Freud (2003-05) was a TV and radio personality and had been a Liberal MP from 1972-87. He had himself delivered to the University in a Royal Mail Post bag on a postal van and the President of the SRC had to hand over a receipt to the local postie before receiving the parcel. Amongst other gifts he received a silver cooking pot from the Students’ Association. He was an active Rector, despite his age (78). 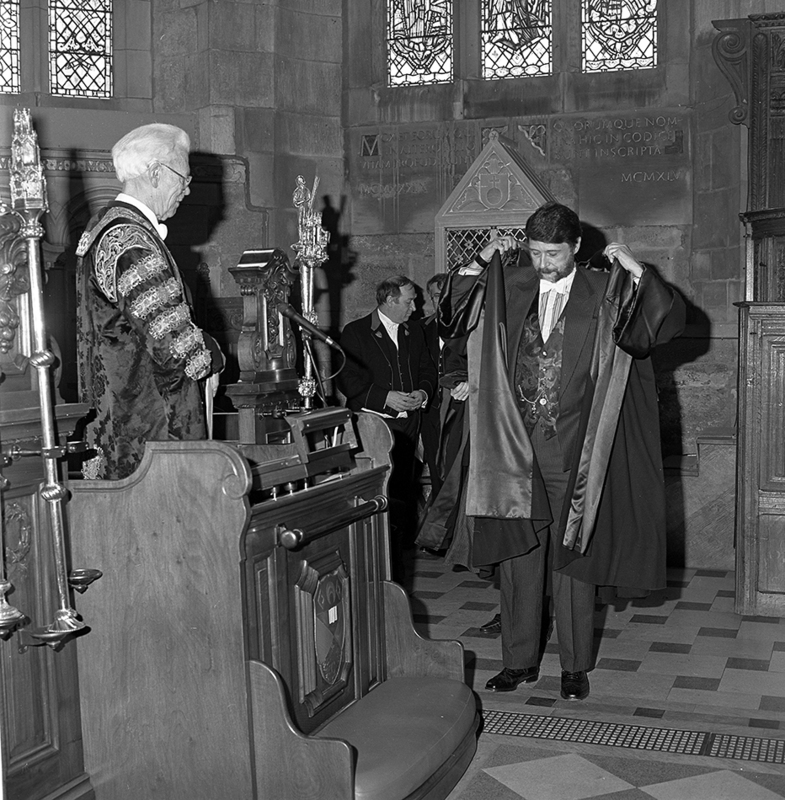 He had also previously been rector of Dundee. He bears an uncanny resemblance to an earlier Rector – the Marquis of Bute. 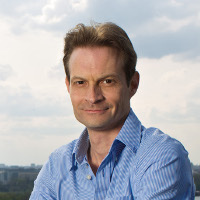 Simon Pepper (2005-08) was the retired director of World Wildlife Fund Scotland and a government adviser on Sustainable Development. His drag was quite traditional – being dragged around the town by University Blues in an open carriage. See blog at http://www.andrewcusack.com/2006/the-rectorial-festivities/ for lots of photographs and an eye-witness commentary. 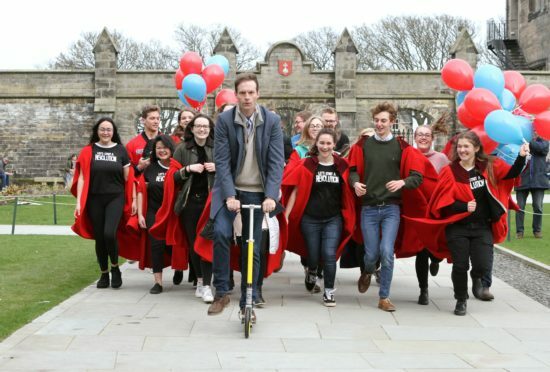 ‘Students’ Association President, Andrew Keenan and Rector’s Assessor Georgina Rannard steadied the ‘Stop Me and Buy One’ cycle as Scotland’s first Information Commissioner wobbled through the arch, just after 1 p.m., to be greeted by crowds of students, staff and well-wishers. An hour later, Mr Dunion was pulled around the town in an 18th century carriage by the university sports ‘Blues’, followed by students and representatives of student societies, finishing at the Union in St Mary’s Place at around 5 p.m. Later there was a torch-lit procession to the end of the pier in his honour’. Mr Dunion, himself a graduate of St Andrews University, was a popular choice, earning 50 per cent of the vote in last October’s rectorial election. 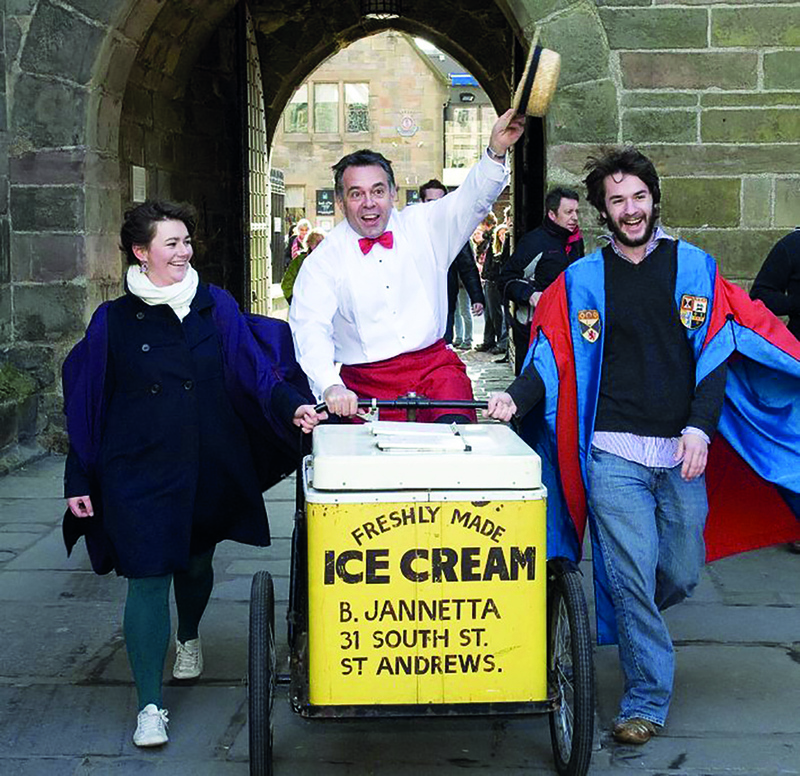 Alistair Moffat (2011-14) Mr Moffat, author and Director of the Lennoxlove and Borders Book Festivals, was the University’s 51st Rector. 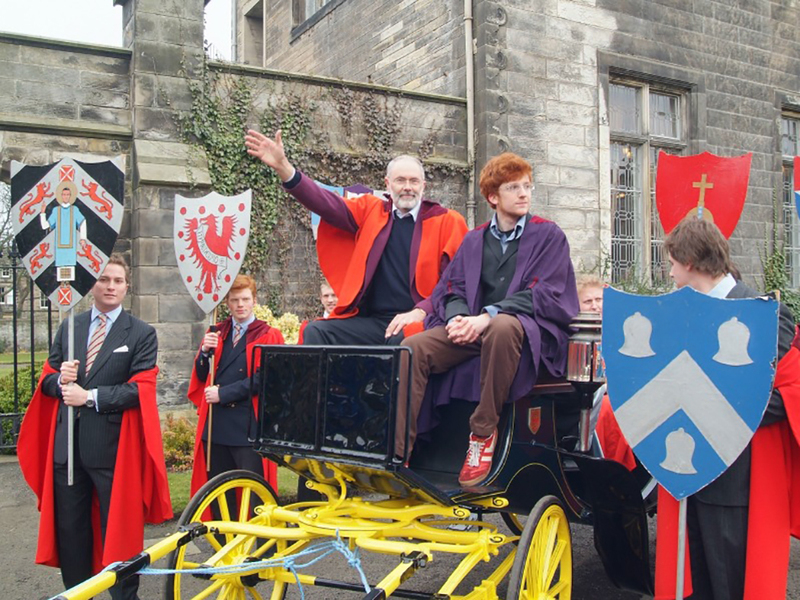 Mr Moffat arrived in St Andrews on a horse and rode around the quad before being ‘dragged’ around town in a carriage by the University blues for a 6-hour tour and visit to many hostelries. 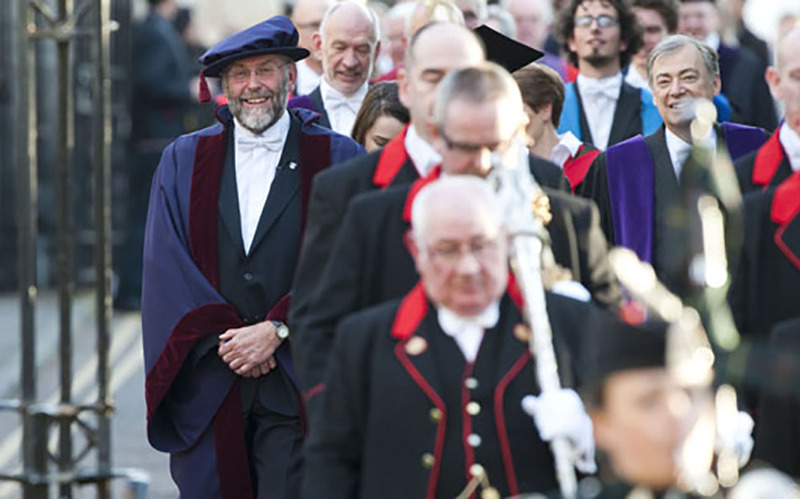 Himself a graduate in Medieval History in 1972, in his address he described growing up in Kelso and making the ‘leap into the dark’ when he enrolled at St Andrews in 1968. He spoke to an audience of students, officials and invited guests about his ‘blissful years’ at University, during which he met his future wife Lindsay, and thanked students for their support in his election campaign. 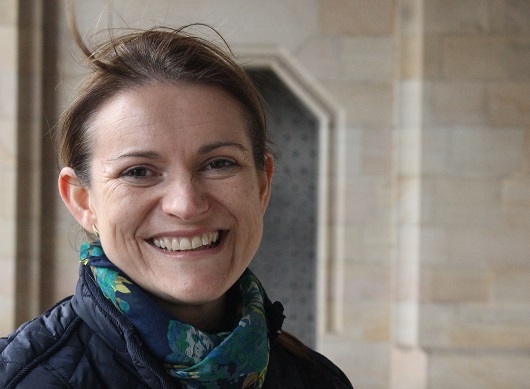 Catherine Stihler (2014-17) A St Andrews graduate, and former Student President, Stihler has been a Member of the European Parliament for Scotland since 1999 and serves the European Parliament as Vice Chair of the committee responsible for consumer rights and the digital single market. Stihler was elected unopposed. She was the first Rector in 116 years to hold the position while also serving in elected public office and the second woman ever to take on the historic role. 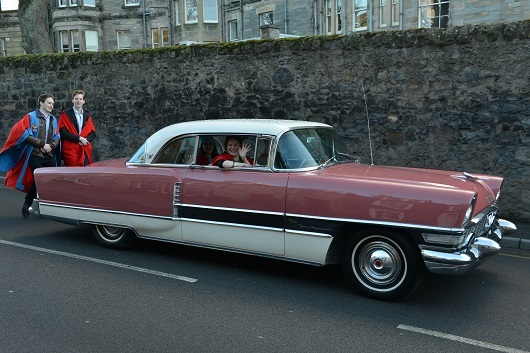 Her drag was in a pink Cadillac around the streets of St Andrews, stopping at 20 pubs. She was also the first Rector to have their own Facebook page. Srdja Popovic (2017 to date) And finally, the current newly-installed rector, Serbian political activist Srdja Popovic, elected as the 53rd rector. Mr Popovic, who previously had no links to St Andrews, ran for rector after being approached by student inspired by one of his books. He is a former Nobel Peace Prize nominee who founded the student protest movement Otpor! that played a pivotal role in the overthrow of Serbian dictator Slobodan Milosevic in 2000. Mr Popovic is a founding member of the-Centre for Applied Non-Violent Action and Strategies (Canvas), a not for profit organisation (NGO) which has trained pro-democracy activists in more than 50 countries. Mr Popovic was dragged around the town on his scooter earlier this week. We wish him well for his Rectorial term.